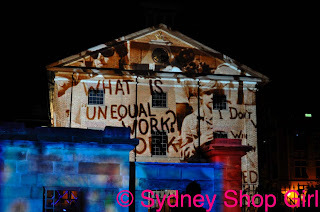 Sydney Shop Girl: On Being A Woman In Australia In 2011. The Choices Of Royal Wedding China Are Limited. On Being A Woman In Australia In 2011. The Choices Of Royal Wedding China Are Limited. I've spent today doing things I've never had to ask anyone permission to do. Something that I have taken for granted every day of my life. That I've never had to fight for. That I've never been punished for trying to do. That I don't regard as a privilege. I've heard about the latest state election promises and I will be voting in 18 days. It's been a Happy International Women's Day for me, just like every other day of my life. The only thing that's different today is that I've paused every so often to imagine what my life would have been like in previous decades or sadly, in other parts of the world in 2011. Would I even be doing what I'm doing, wearing what I'm wearing, reading and seeing what I do. 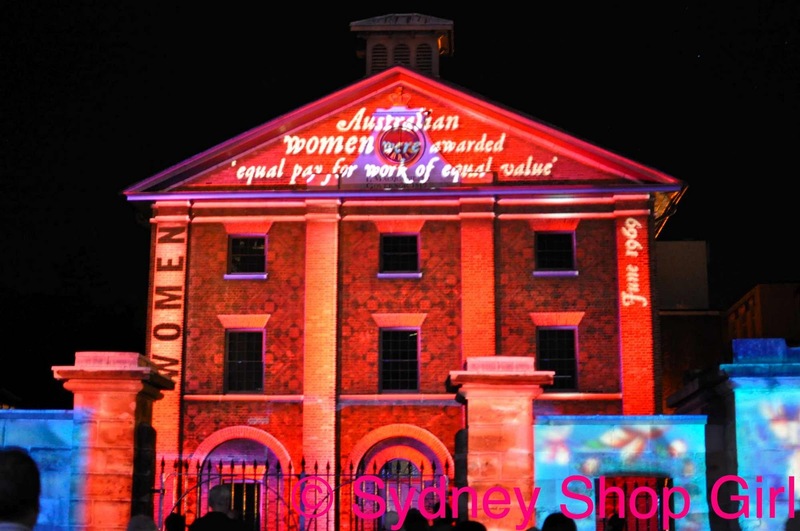 It's easy to think, in Australia, that all the battles have been won for women. Outwardly, this would appear to be the case. However, I feel that we still have some way to go with regard to perceptions about ourselves as women. It's not just in the media but shamefully, in our own lives. It is somehow now second nature to make assumptions about other women based on how they look and what they have (allegedly) done. Much of the focus of the fight so far has been for equality amongst men and women. But how about amongst women? Do we value, respect and support each other? 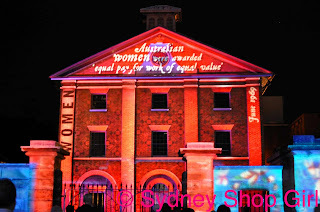 The generations of women in Australia before us campaigned hard for the right to vote, the right to be educated, the right to work for equal pay. Perhaps our generation's fight will be for empathy, respect and encouragement amongst women. To be a sisterhood rather than warring factions divided by employment status, appearance, fertility, financial net worth and the possession of a partner. To be there for each other in good times and bad. To share experiences, fears and hopes. Is the popular media to be blamed for the divisions amongst us or is it a mirror that reflects the way we feel about each other? On a less serious note, my Royal Wedding China search has hit a snag. There isn't much to choose from. The nicest set I've found is pictured above, available from The Royal Collection website. A pill box, a plate and wait for it ... a tankard?!?! No tea cup set, sugar bowl, cake stand or champagne flutes? What were the souvenir planning committee on? I am seriously underwhelmed. I might have to buy myself a generic tea set and somehow attach my favourite images of the engagement to them. Perhaps William and Kate should have gotten themselves involved with a reality TV series. There's always copious merchandising to be had with those. I'm hopeful though, that more of Kate's wardrobe will make it to the high street chains in the next few weeks. We had Fergie's hair bows in 1986. I need a Kate fashion accessory by April. And yes, I know William is not available. Hi SSG - it's not only in Australia that the battle for equality is seemingly won, it's just the same here in Norway and probably in the rest of the world too! We've come a long way, but we're not at the end of the road yet. Great post, I wrote a couple of lines on the history of IWD on my blog today! Happy International Womans Day to you! A beautiful post. We are so very fortunate here. That is a sad choice of royal wedding china. The pattern on the china is nice but I agree with you - it's criminal not to have a teacup and saucer. Not very princess-esque! I completely missed IWD - I guess that's what happens when you don't read papers or watch the news on holidays. I think we are very privileged in Australia and there are so many fantastic role models for us as women, innovators, carers and as leaders. There is always room for more but when I see how other cultures don't value the contribution women make to society it saddens me greatly. Thank you for this post. I think it's great that you wrote about it, it really made me think. Lovely post. I live in Canada and I too have so many freedoms that I take for granted. You put it so simply, yet poignantly. Also, the royal wedding china certainly is disappointing. You'd think for such a young modern couple they would have pieces to cater to their following. My dad has some lovely royal coronation pieces that he has collected over the years, and there are some pretty bizarre ones! I'm making it a mission to bring feather hair whatsies to the general public here, Kate's my role model in that department! Erica Belle: thank you for stopping by. L: great to hear your perspective from Canada. I'm in the process of stopping by everyone's blogs to post comments. thanking my lucky stars and honouring women who spoke out and took a risk....we are the fortunate ones. We take a lot for granted. But isn't it wonderful that we can?